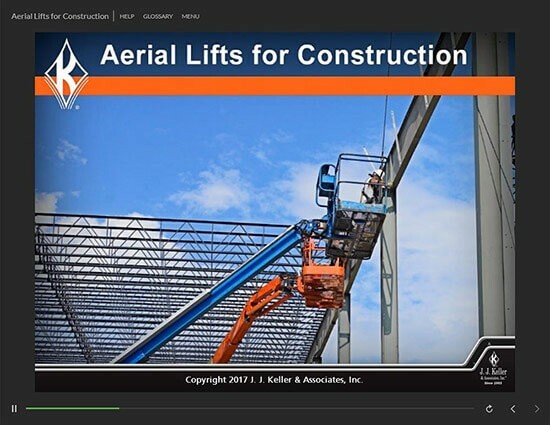 Use this online course to familiarize workers with hazards related to aerial lifts and best practices they can implement to work safely around this equipment. Thank you for your interest in previewing the Aerial Lifts for Construction online course. Please register or log in to watch free previews, browse the course library, purchase training points, and more.